Amroha is a city in north-western Uttar Pradesh state in northern India, located north-west of Moradabad, near the Sot River. It is the administrative headquarters of the Amroha district. The name of Amroha drove out from the Sanskrit word Amr Mango and Vanam Forest. Raja Amarjoda (Amaryodhan, Grandson of Suyodhan of Mahabharata), of the KuruBansi dynasty, was the ruler of region Amroha in 479 BC. The author of Tarikh-i-Amroha states that Amroha was ruled by Bhardwaj Tagas between 676 and 1141 AD. Mahmud of Ghazni conquered Amroha in 589 AH/1093 AD. Behram Shah (1240–42) appointed Malik Jalaluddin to the position of Hakim of Amroha in 1242. Ghiyasuddin Balban crushed a rebellion in this region, and so ruthless was his repression that the territory of Badaun and Amroha remained quiescent till the reign of Jalaluddin Khalji. Ambar Sultani built a mosque at Amroha. During Alauddin Khaljis reign, Malik Tughluq and Malik marched through the city to confront the Mongols at the Battle of Amroha. 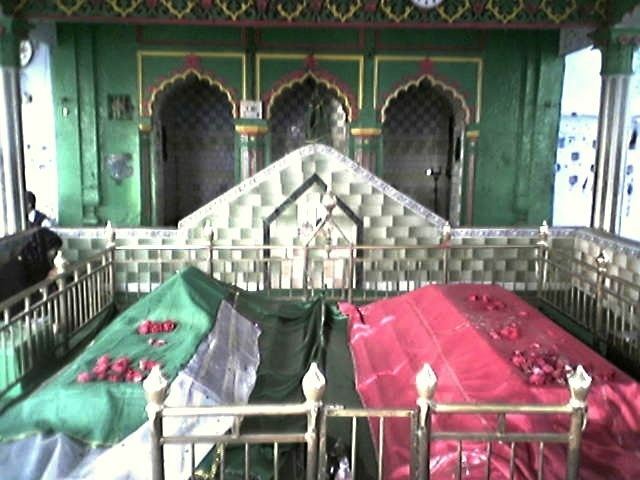 Saiyid Salim was assigned Amroha and Sirsi as an iqta and after his death, the iqta was assigned to his sons. It is also recorded that Khizr Khan was punished by Alauddin Khalji with an enforced stay at Amroha with Hisamuddin. The historical architecture of Amroha begins with the fort wall, remnants of which still stand. The Moradabadi Darwaza, built by Saiyid Abdul Maajid in 1642 AD, is the only extant gate. The wall was constructed during the reign of Shah Jahan, by Siyadat Maab Saiyid Abdul Maajid, who had constructed this fort under the supervision of Kamal Khan Khanazad in 1652 AD. It is fifty feet high with three parallel arches, covered with a roof. Other monuments from this period include mosques, idgahs, khanqash, dargahs, imambaras, diwan khana, madrasas and mandirs. 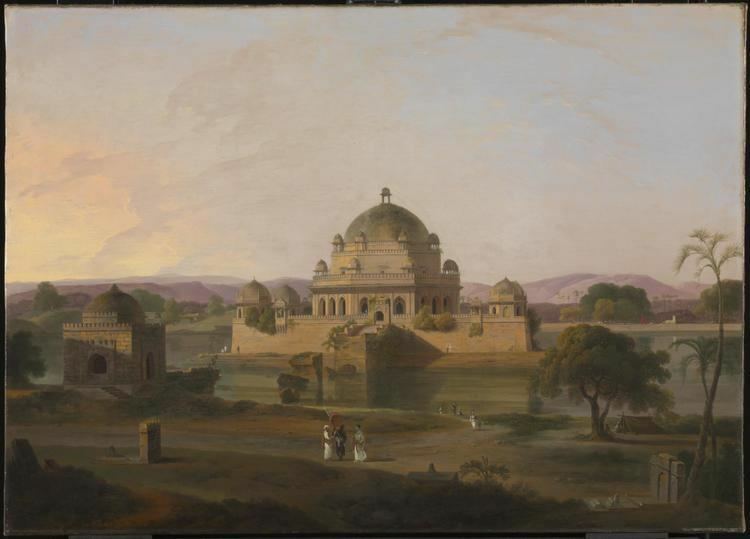 Some of these are of the Delhi Sultanate period, others of the Mughal period. Viqar-ul-mulk gate is made in modern amroha in memory of nawab Viqar ul mulk. 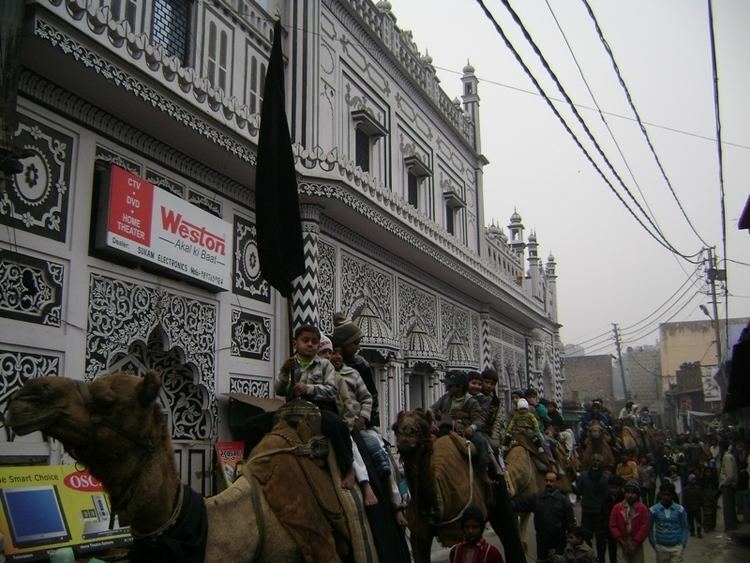 Amroha is located north-west of Moradabad, near the Sot River. Being just 130 km away, Amrohas weather is very similar to Delhi. The city is divided into localities and blocks. It is about 4 km away from NH 24, which is a four-lane highway that connects New Delhi to Lucknow. Amroha railway station is on a line built by Oudh and Rohilkhand Railway, 868 miles from Kolkata.